Read reviews and news for featured fishing tackle here on the Fishtec blog. Helping you get the most from your favourite online fishing shop. The Glasgow Angling Centre is host to yet another open weekend, just in time to celebrate the new fishing season. This year the brilliant 3 day event is being held over the 5-6-7th March – With some of the biggest names in the sport on hand to offer advice on all aspects of fishing, from the most effective fishing tackle to technique. Colin Thomas and Kieron Jenkins will be on hand at the Airflo tackle selection at the GAC open weekend, they’ll ensure you’ll get the best service and knowledge of any Airflo product stocked at the Fishing Megastore. Meet the biggest names in fishing, including: Stevie Munn, Paul Proctor, Billy Buckley, Mike Thrussell, Hywel Morgan, Paul Young and many more. Huge discounts on all the biggest brands: Airflo, Hardy, Greys, Daiwa, Savage Gear, Simms, Patagonia and Shakespeare to name just a few. The Open Weekend has such a unique atmosphere. People from far and wide flock to the 30,000 square foot fishing superstore to rub shoulders with the biggest names in fishing. However it also gives anglers the opportunity to share experiences, meet new faces and to express their passion for the great outdoors and love for the sport. Alan Yates with a bag of dabs and a goer bass which won him a match from Seabrook’s Princes Parade with 8lb 4oz. Midway through October and still the weather is mild and relatively settled. Yes we are enjoying an Indian summer and for the shore anglers it’s been a long spell of mixed fishing with the crossover of summer and winter species somewhat prolonged this autumn. Could be that this is now becoming the norm with the mixed fishing lasting later into the winter every year due to global warming. Whatever, it’s welcome for sure. Only this week I landed a mixed catch of dabs, bass, whiting, codling, smoothhound and dogfish from my local pier and beaches. Fishing the Prince of Wales pier inside Dover harbour the anglers next door landed two smoothhounds, mine was just a goer, but the specimens landed by Kyros Andrea from Tottenham both topped the 6lb mark, both took a large squid bait. Kyros is a retired trucker who regularly travels to Dover to fish and these were his best ever smoothhounds. A surprise bass amongst the dabs at Seabrook whilst using braid line on the new Continental beach caster caused me some excitement and those codling seem to be showing all around the UK, even in the sunshine and so it’s going to be a shock for many anglers when the weather does eventually change to winter. Looking at the continuous south westerly storms that are buffeting us, that all too familiar winter weather blocking pattern will soon introduce more easterly and northerly winds and lower temperatures. Anglers in the North Sea will be rubbing their hands together at the prospect of onshore winds and more cod and here in the south when its calm nothing beats a calm sea and a frosty beach to spice up the night time whiting fishing.. However, now is a time to get serious with your beach fishing and going out prepared for the weather is an important factor. The waterproof thermal suit, a beach shelter or brolly, chest waders, warms socks, a hat and a flask are all essential to survival when the weather gets mean. Also important are the means to continue fishing when the wind blows and the sea swells. I pack a few heavier grip leads in the tackle box, those 7oz Breakaway green tops in fixed wire take some beating, although if it gets extreme then it’s a Gemini yellow head 7oz and nothing sticks like they do. Lots of anglers forget that the importance of a heavy lead apart from it anchoring to the sea bed is that it punches through the wind and tows baits far more efficiently than lighter leads. Which go off course in the wind. Bait clips also help you gain extra yards by tucking the bait snugly behind the lead for a more streamlined rig and bait. Now is the time to get your sea fishing tackle right. Make up a few rigs for extreme weather – the Pulley Pennell is a great choice for wind and sea both on rough and smooth ground and it’s the easiest clipped rig to make yourself. Lots of anglers also boost up their rig hook snood line to 25lb to combat conditions and that chance of a bigger cod. One of the biggest winter mistakes made by many sea anglers, especially beginners is using too big a bait. OK big bait, big fish – that’s true, but a large bait is of no use if you cannot cast it far enough to reach the cod. So compromise between bait size, bait clips and lead size to maximise distance with your biggest bait and don’t fall into the giant bait fished in the gutter trap!!!! The other common mistake of the novice is to recast a washed out bait. Replace your hook bait fresh every cast, fresh worms etc means a fresh scent so the bait scent trail the previous cast set up is continued. Casting timing is also important, keep an eye on how long your bait lasts against crab and small fish attacks and set you timing between casts around that. There are a few solutions and one is to freeze your lugworms. Black lugworms freeze best and when using them, tying them on with bait cotton makes keeps them more intact and on the hook because they do go soft. Frozen baits can be used to extend a limited supply of fresh although lots of anglers swear by frozen on their own. One tip – Treat frozen bait like you would your food, would you eat sausages that have been in the freezer for four years! Sort your frozen bait in terms of how long it’s been frozen. Frozen lugworm from the spring tides can be used a week or month later when the tides are neap. That’s the way to manage frozen bait and not keep it for years! Frozen squid is easy enough to buy earlier in the year in bulk, it’s cheaper. Break down into smaller amounts and store in the freezer and on some venues it’s all the bait you need, although for the current crop of codling fresh yellowtails or blacks take some beating. You can obtain a supply by looking after your dealer – How many anglers buy their gear on the internet and then only visit the dealer when they are desperate for worms, small wonder he has none he will be looking after his regulars. So keep it in your mind to keep in with the local fishing tackle shop and with luck you will get a supply. I had a surprise this week when a photo session with Sea Angler photographer, Lloyd Rogers resulted in me catching my biggest ever wrasse from the Kent shore. You will have to wait until the feature appears before you get to see the pics. Catching wrasse from the Kent shore is nothing new, I first recorded Ballans in the 1980s, although they were generally small fish in the ounces and an occasional high summer catch. But after Samphire Hoe was constructed they started to appear in numbers and it was predicted that they would increase in size. Samphire Hoe, near Dover is a 2km long sea wall that was constructed out of the spoil that came out of the Channel Tunnel and it is extremely rocky and weedy, ideal habitat for wrasse which have colonised it big time. I suppose the reason for the increase in the wrasse population generally has got to be global warming and it’s in the sea that anglers have noted a drastic influx of species and changes in the migration patterns of some of our most common fishes. The wrasse though is not a commercial catch, indeed the fact it tastes like cardboard will mean it will survive the nets and because anglers generally put them back. Both facts may have contributed to their increase, plus they are exploiting the habitat left after the demise of the other species. Big Ballan wrasse have become what I call the poor man’s big fish with populations around the UK expanding and it’s a fact that large wrasse feature in many sea angling magazine pages when in the past they were considered less meritorious. Pound for pound of course they are a powerful sea fish, whilst their colours and handsome looks add to their popularity as a catch. They are also not easy to drag from their rocky haunts and can be caught on bait or lures. Nowadays they are there to be caught when other prime species are not and like the dogfish, wrasse have become an accepted part of the sea angling scene. Between the wrasse I have managed to catch a few codling, although they have been mainly small with a mix of fish between 20 and 40cm from the Kent shore. Listening to the Facebook grapevine it looks like most of the English Channel and lower North Sea have the same populations of 1lb to 2lb codling. Trouble is so many anglers exaggerate the size and around my neck of the woods fish of 5lb are being reported, its odd that not one of the Kent competition results and there are hundreds, has produced a codling of more than 2lb 8oz. However, having said that its been nice to sit on the beach and see the rod tip buckle over because even a 2lb codling can give you a great pull down or slack line bite. Best bait has been black lugworm for me with a two hook Loop rig the ideal terminal set up for long range when the weather is rough and distance crucial. At other times I have stuck to a two hook flapper with size one Kamasan B940s. In the coming weeks a change in the weather will produce more codling with an onshore sea the best conditions, south west in Kent and along the Channel coast is best whilst up the North Sea a North East is usually considered ideal. Also look to fish after the gales have subsided, don’t leave it a couple of day, go when the wind drops. Between the codling have been a few big bass and it’s the time of year when bass and cod are caught together or in consecutive casts on some southern venues. I love nothing than a really calm night to fish a small live whiting in the margins of a steep shingle beach. Some big bass are there to be caught from now up until Christmas and like others the bass season has been extended again thanks to global warming. I am currently using my two Force 8 continental beach rods. They are 15ft and rated 5oz, although I am using 12lb line and 4oz leads with one rod on micro braid and one on mono. The comparison between the two lines is tremendous with the braid especially effective over rough ground – I used it to catch those wrasse and its lack of stretch and immediate pick up means tremendous bites, but fish can be bullied away from the rocks quicker than with mono., One word of warning with braid main line all through, you will find that it will snap light mono hook lengths so don’t go too light, not below 15lb for rough ground anyway. The Continental sea fishing rods have been an eye opener for me and using 4oz on the strongest tide with micro braid has generally lightened up my sea angling without a big loss in casting distance or increase in tackle movement because of the tide. Four ounces holds in most tides with the finer line, only heavy weed offers a problem. 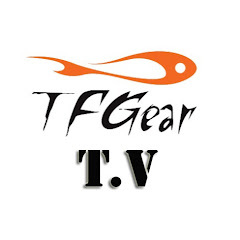 I’m off this week to make a new DVD for TF Gear and Sea Angler magazine with Chris Ogborne. We are going to Cornwall and fishing aboard Optimus Prime skippered by Rodney Kennedy. The main subject of the DVD is fishing light and hopefully that will include a shore trip so I can show you the new Force 8 Continentals in action. Look out for the DVD in the coming months it will be free with Sea Angler magazine and to all TF Gear customers etc. I did a bit of coarse fishing recently and landed this cracking sturgeon on a pole from Chequertree fishery at Bethersden in Kent. If you live within a commuting distance of our Brecon HQ, and you are a keep angler there may be a role for you in the Fishtec team! In this fast paced role you will process postal, internet and telephone orders for a wide variety of fishing tackle. Key elements of the role are helping customers with product advise queries through telephone sales, customer service aftercare, and processing internet and postal orders orders. Effective written and oral communication skill. Previous experience working in a call centre a distinct advantage. There are all manner of high-tech fishing goodies you could spend your life savings on. But sometimes, it’s all about keeping it simple and doing the basics well. You can still catch your dinner with just feathers and a fishing line if you know your stuff. So next time you visit the fishing shop, see how far you can stretch a £10 note. Along with hooks, the type of fishing line used can greatly affect your chances of making a catch. If you’re fishing in rough waters, you’ll need a thick, durable line, whereas a thinner fishing line is preferable if you’re fishing in a clear, quiet lake and don’t want to alert the fish. And you’ll always need extra line in your tackle box as there’s always some jagged rock or piece of rubbish just waiting to break your line (and heart) at a key moment. Planning an all day session out in your favourite fishing spot? Lunch and drinks are packed, you’ve got plenty of fishing gear, bevvies and bivvy. Sounds like the perfect day. Only you return home the next morning in pain with a face redder than an angry octopus. Sunscreen is one of those easy things to forget, but even in the oft-sunless landscape known as the UK, the sun can still damage your skin if you’re out all day. It’s technically not fishing gear, but it’s in a fishing shop, so stretch that tenner. For the well-practiced fishermen, it’s important to have a selection of hooks in a range of sizes from the traditional J-hook to the French hook. You don’t want to be using monster hooks to catch tiddlers — so stock up your tackle box with a variety of hooks and you’ll be ready for any type and size of fish. They come in all shapes and sizes with funny names (no, not jelly beans or real ales), but flies. Fishing flies are affordable and you can never have too many. Different fishing spots breed different types of fish and so you’ll need to change your flies to improve your chances of catching them. See how many you can get for a tenner — sounds like the start of a global challenge. “Half a pound of the wiggling ones, please …” Depending on what style of fishing you’re planning for the day, you may require some live bait like worms or maggots. Unless your local fishing shop is importing exotic maggots from somewhere far away, you should be able to afford more than enough bait and still have money left over for something else in the next paragraph. Everybody loves a bargain bin, so close your eyes and dig in. You never know what you might find. When there’s a sale on anything is possible and your tenner may hook you in something (like a rod!) that may be too big for your tackle box. This of course depends on two factors — how big your tackle box actually is, and how desperate your local fishing shop is to unload the old stock. Either way, your tenner and some bartering should make an impact in the bargain bin.